At the DoubleTree by Hilton Key West-Grand Key Resort, tropical gardens and a beautiful zero entry pool offer the perfect setting to enjoy America’s Caribbean. Guests can travel to Old Town on a complimentary shuttle and explore the exciting attractions available in this beautiful part of Florida. The resort's contemporary accommodations include modern and stylish guest rooms and suites. 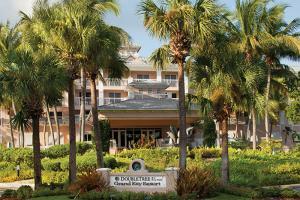 Located just one mile from Key West International Airport.